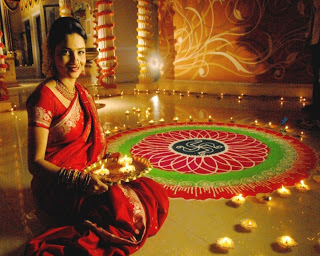 Check out 20 timeless, and classic designer outfit ideas for this Diwali’s festive look! The all time favorite, the traditional Indian sari made with different fabrics, can be worn in different styles. You can take your pick as to what suits your style quotient and of course the occasion! You can either go for the lehenga sari or the half sari. Lehenga sari is an interesting mix of lehenga choli and a saree and is a formal wear. 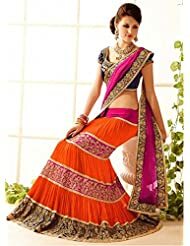 This style has a choli or a blouse worn in a lehenga choli and the sari looks similar to a lehenga when draped, with embroidery and embellishments. Looks super cool and is much easier to wear than a typical saree. Or else try out the half saree look that is just as elegant. 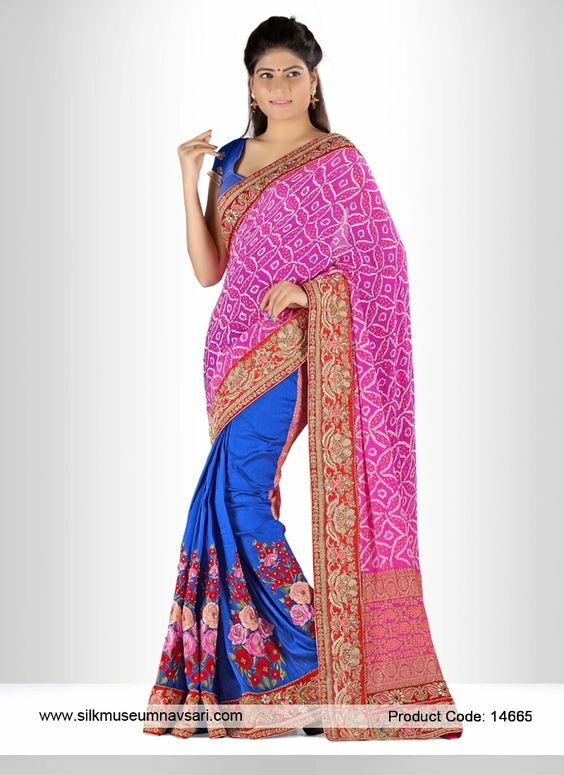 Available in lots of vibrant and pastel colors in georgette, sheer and net fabric, these half sarees can be worn for formal as well as semi-formal outings. You can also go for a net saree for a hot and sensual look. It looks classy in every color and the fabric can be chosen according to your budget. For a fully comfortable and formal look, take your pick from the evergreen Anarkali dress. A full-length frock style kurta till just about a few inches above the ankle, it is paired with leggings or churidars. The range varies depending upon your budget and requirement. You can opt for a very heavily embroidered one or light embellished ones in cotton or net. Looks gorgeous but helps you maintain your comfy zone to run errands while you run around managing your Diwali party! If you find your comfort zone only wearing salwaar suits, then pair bright embroidered kurtas with leggings, palazzos and pant style salwaars. Whatever you choose, go for good fitting and a smart cut. Whatever attire you choose to don, don’t forget to accessorize it with the right jewelry, footwear and makeup. Go for it ladies and rock your Diwali this year! ← 6 Best bright eyeshadow palettes to shop for an ultimate Diwali look!